I was, of course, inspired to write about Cilla after the sad news that its subject, the singer and TV presenter Cilla Black, had died. Like most British people my age, Cilla Black played a defining role in Saturday nights as I was growing up. If I remember it correctly, ‘Miss Cilla Blaaack’ and her show Blin-duh Date was part of a relentless ITV schedule juggernaut, which included Baywatch, Gladiators, Catchphrase and Stars in Your Eyes. This must have driven my parents nuts, but I loved it. Cilla became, then, an ITV stalwart, and it is only fitting that the network should have produced this high-quality and flatteringly extensive portrait of her early years in showbiz. In some ways its a shame that the series stops just before her TV career, as it is for this that she is best known and will continue to be loved. It seems crazy now to think that a programme fronted by a middle-aged woman could bring in 18 million viewers, or, indeed, that a major peak time programme would be fronted by a middle-aged woman at all. According to a BBC obituary of Cilla, she was chosen as host of Blind Date because, amid concerns from the regulator about early evening innuendo on foreign versions of the show, she was considered the most ‘sexless person on television’. But, according to Cilla, she wasn’t always so. 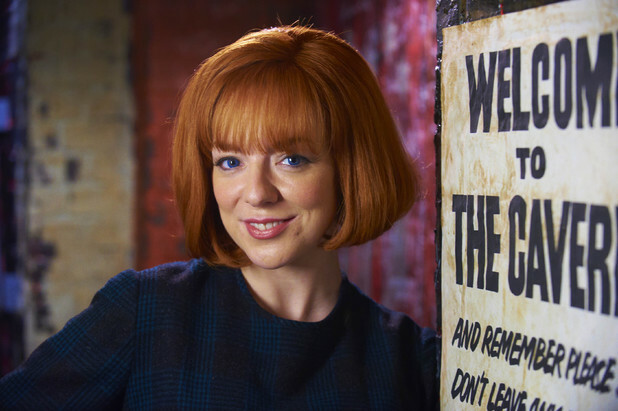 The programme opens with scenes of ‘swinging Cilla’ (Sheridan Smith) roaming through the clubs of Liverpool as a party girl and aspiring singer. She’s intent on having a good time and pursuing work in show business, much to the annoyance of her mother (a superb Melanie Hill), who has her sights on a glittering secretarial career instead. The first episode traces this attempt to become a singer, concluding with a failed audition for the legendary Brian Epstein (Ed Stoppard), orchestrated by Cilla’s mate Ringo (Starr, of course, played by Tom Dunlea). At times, the storytelling in the first episode suffers from ‘Beatles syndrome’. Of course you can’t tell a story about the Liverpool music scene in the early 1960s without reference to them, but mention of the band does seem to be shoehorned in at such regular occasions that you start to feel a lack of confidence about how interesting the Cilla story really is. Occasionally, the first episode feels like a Beatles movie by the backdoor. 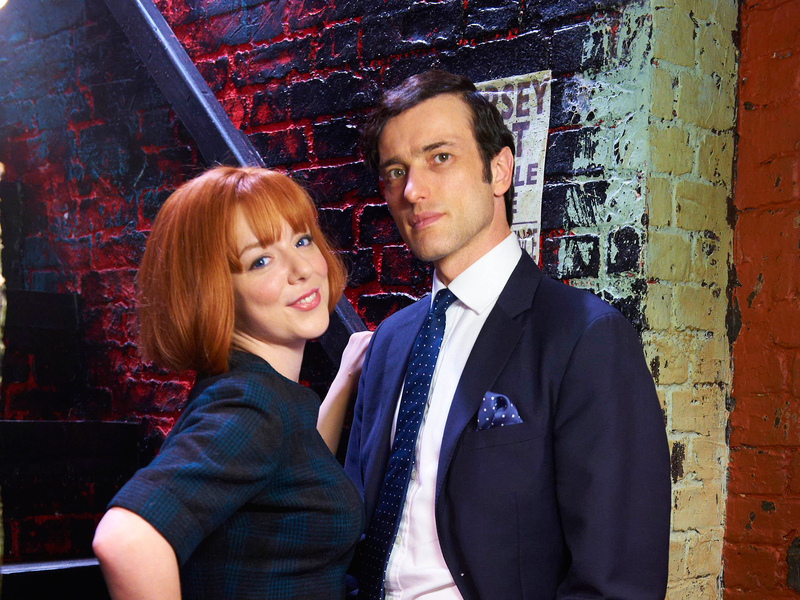 Throughout the whole mini-series I got the feeling that Epstein, rather than Black, may have been the preferred protagonist of Jeff Pope, the screenwriter, but that Cilla has that invaluable name-recognition for selling the show to audiences. Nevertheless, the programme does provide a fascinating portrait of Epstein, whose narrative is one of bitter loneliness and repressed sexuality, though his character is one of clear humanity. Apparently Black told Pope to be careful in his portrayal of her relationship with Epstein, who she did not know was gay. It is written with great sensitivity, and played superbly by Smith and Stoppard. She is able to be at once demanding and caring, showing grit and tenderness in subtle ways. The other significant relationship here is, of course, with Bobby Willis (Aneurin Barnard), despite religious differences between her, a ‘Scotty Road Catholic’ and him, a ‘proddy’. This is the primary tension that is pursued throughout the whole three episodes regarding their relationship, and it does feel that this issue is forced. This is probably because Black’s marriage was a famously happy and successful one until Willis’s early death in 1999, with the pair only reportedly ever spending four nights apart from one another. Some romantic jeopardy is, of course, required for storytelling, but it seems that a far more interesting route to pursue would be Cilla’s selfish refusal to allow Bobby to pursue his own music career. This is briefly portrayed in Episode Three, but with nowhere near the attention that is given less controversial parts of the story. Perhaps this is because the programme is so determined to show Cilla in a positive light, which is easily understandable given her National Treasure status, made abundantly clear in the past few days. In some ways, a three episode series was more than the material here really needed, and a single fiction could have covered the story. However, this would have robbed me of one of my favourite moments in the whole series, engineered to provide an uplifting ending to Episode Two. We have seen Cilla record ‘Anyone Who Had A Heart’ earlier in the episode, but this is told from Bobby’s perspective, as he paces around outside the studio like an expectant father outside the delivery wing. There is no music here, diegetic or non-diegetic, which struck me as odd for a recording scene. The reason for this, though, becomes clear at the end of the episode, as Cilla receives the news from Brian that her single has gone to Number One in the charts. We then cut back to the song being recorded in studio, intercut with images of Cilla’s family and friends listening to the song, and finally Cilla and Bobby celebrating, the glorious city of Liverpool fading into the background. The song, which starts quietly and plaintively but builds to the rallying cry of ‘Anyone who had a heart would love me too!’, carries the drama here in proper melodramatic fashion. A more economic telling of the story would probably have ended here.